This Saturday, December 8, is the Feast of the Immaculate Conception of Mary. In many cases, if the holy day is just before or after a Sunday, there is no obligation. However, the Immaculate Conception is the Patronal Feast of the United States of America, and so the obligation remains. Therefore, this week-end all Catholic in the United States are obligated to attend Mass two times: once for the Feast Day and once for the Sunday. There is no "one for two." We must go to Mass twice. 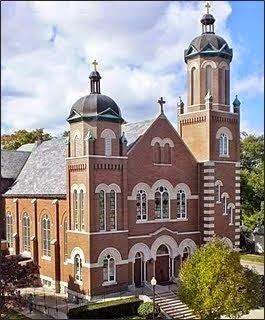 Sun., Dec 9 2:00 p.m. Mass in Spanish will NOT be here at St. Michael. It will be the pilgrimage Mass to Our Lady of Guadalupe in Warsaw.